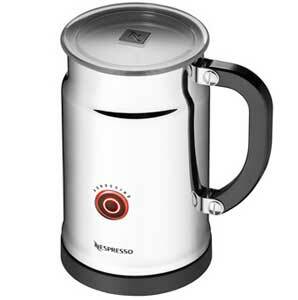 The Nespresso Aeroccino is a stainless stand-alone pitcher that warms and froths milk for the perfect latte or cappuccino. It is the perfect companion to the Nespresso Citiz, Essenza and Le Cube models. We finally found a machine that will give us that perfect froth every time and it works much faster than the wand on our espresso machine. It also looks very attractive on the counter.